The Green Bay Packers, America’s only publicly owned sports franchise, began selling almost completely worthless shares of the team’s stock on Tuesday. All signs point to a lot of people scooping up the $250-a-pop shares, with the Green Bay website even slowing in the early morning because of the heavy activity. In the first 11 minutes of trading, 1,600 shares ($400,000 worth) were sold. This is unsurprising, of course, given that a sucker is born every minute. It’s been covered ad nauseam that Packers shares are useless, worth approximately 3 cents despite the hefty $250 price tag. Clearly anyone who buys this stuff is doing it for fun, not for any legitimate monetary gain. But the thing that makes the shares truly toxic to unsuspecting consumers, though, is that by buying shares you’re actually opening yourself up to punishment from the NFL for actions largely outside of your control. 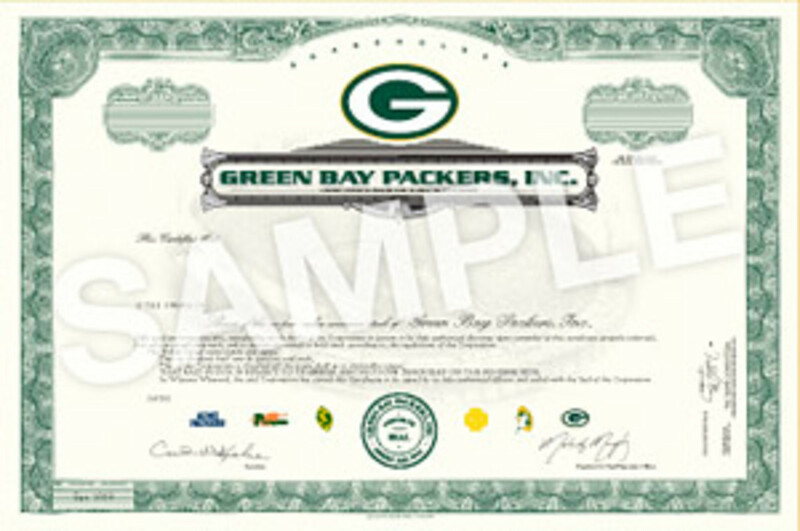 Who Wants to Buy Some Green Bay Packers Stock?